Plan your next adventure to Blue Dolphin on Okaloosa Island in Florida. 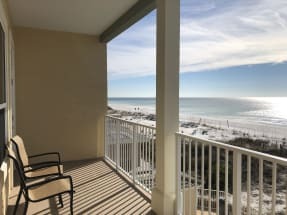 Sitting directly oceanfront to the emerald waters of the Gulf, this condo complex is sure to make your next vacation one to remember. The complex offers several amenities such as the community pool and BBQ grills. Spend the day relaxing by the oceanfront pool and then cook up dinner with the family with out ever having to leave Blue Dolphin. 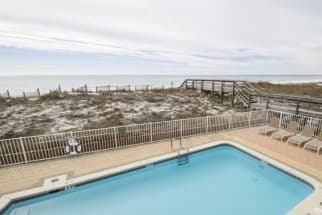 Enjoy the easy beach access from the conveniently located dune walkover. Blue Dolphin is conveniently located on Okaloosa Island. The area provides a lot of adventure for your vacation with endless activities like parasailing, deep sea fishing and paddle boarding. Take the family to Wild Willy's adventure zone for a fun filled day, or check out the historic Air Force Amament museum. Blue Dolphin is also not far from several restaurants such as Fudpucker’s Beachside Bar & Grill and Bay Cafe. 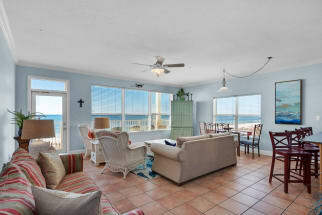 Plan your next adventure to Blue Dolphin with Emerald Coast By Owner. Browse our selection of Blue Dolphin condo rentals below. Be sure to click on the Email Owner button found on each listing to send a property owner a message directly. 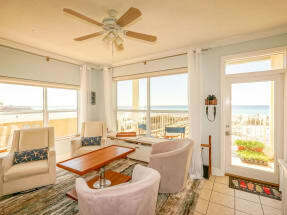 ECBYO puts you in direct contact with Blue Dolphin owners, assuring you the best price for your vacation rental. ECBYO does not charge any service fees when you book with us! We hope you enjoy your trip to Blue Dolphin on Okaloosa Island!